If you'd like to subscribe to Sky Go but you do not happen to have a Sky subscription, you're in luck! 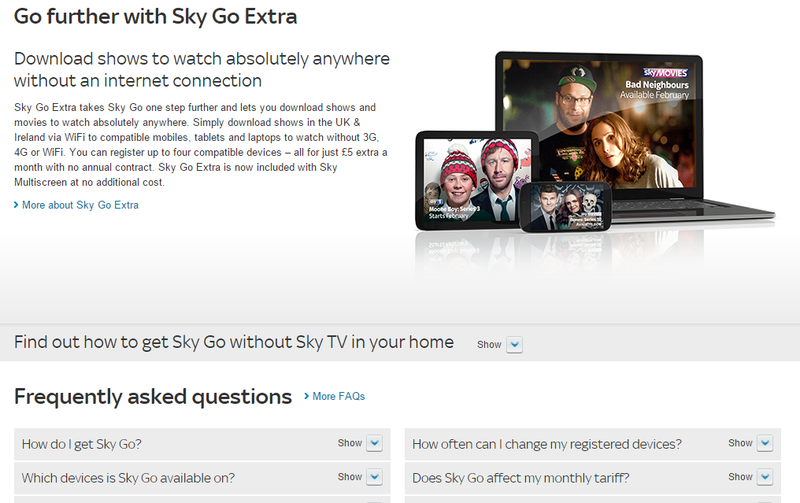 Sky has a Sky Go monthly ticket option available that will allow you to watch Sky Go without needing to subscribe to SkyTV. 4) Choose the best plan for your use and click on Add to basket. 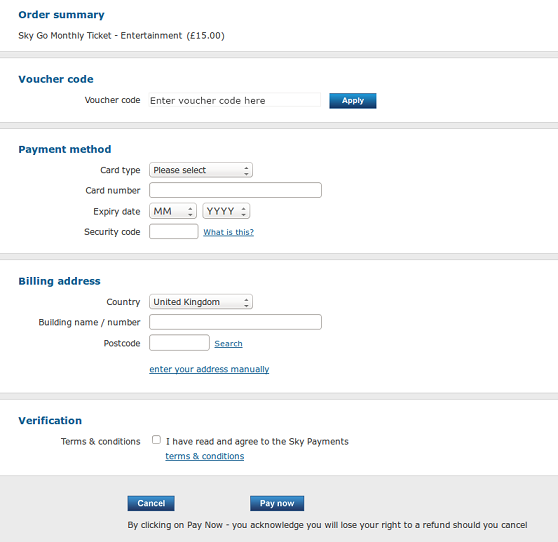 5) You will now be redirected to the payment page and enter your card details as required. Note: You should be able to use any valid credit cards from any region, however the billing address needs to be from a country listed in the drop down menu. You can search online for a valid address / postcode and it should be fine. 6) Once you've paid for your subscription, you can return to SimpleTelly, and set up your device by following our instructions.